So since Caroline revealed that she was pregnant, all Trevor has done is tell her just HOW EASY being pregnant is. Easy huh? Looks like it’s his turn to try it! After listening to months of “pregnancy is easy” and “walk faster” and “it’s freezing in here, stop saying your hot and turn the heating up” Caroline had had enough. So after a few cheeky phonecalls she came up with a plan. Trevor could try being pregnant for himself! 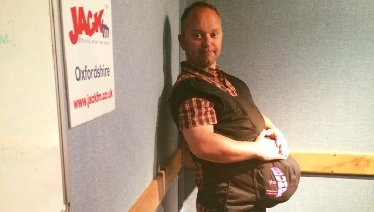 So Trev has been suited and booted…but where should he try out his new found shape? We left that up to you. The shops were suggested A LOT. You also wanted him to try walking up and down stairs...and painting his toenails. How do you reckon he’ll get on?